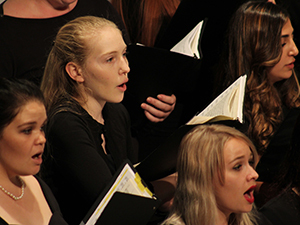 PCC students audition for these performance groups to hone their skills and provide top-notch concerts at the Center for the Arts and special events throughout the Tucson community. Chorale: Under the direction of Dr. Jonathan Ng. A large mixed-voice choir. College Singers: Under the direction of Dr. Jonathan Ng. A more select mixed-voice a cappella choir. 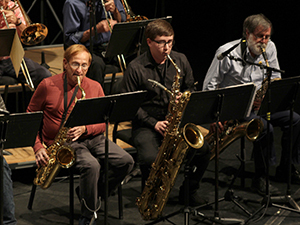 Jazz Ensemble: Under the direction of Mike Kuhn featuring jazz standards performed from a variety of periods in big band style. 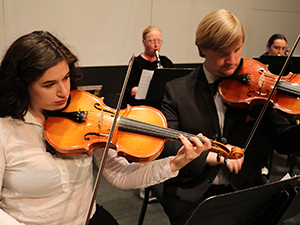 Orchestra: Under the direction of Dr. Alexander Tentser featuring a repertoire for orchestra with students and community adults. 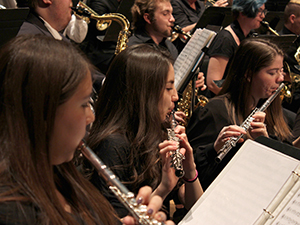 Wind Ensemble: Under the direction of Dr. Mark Nelson featuring classics for full band, as well as small wind and percussion ensembles and soloists. View the 2018-2019 music season.